Interested in Pacific Northwest cruises? If so, Panda Travel ® can take you back to the mainland with tours of Seattle, Alaska and even Canada. Seattle is a city of many neighborhoods, eclectic, urban, outdoorsy, artsy, gritty, down-to-earth or upscale. It’s all here, from the quirky Seattle waterfront to hipsters walking baby carriages past mansions on Capitol Hill. There’s something for everyone within this vibrant Emerald City. And let’s not forget it’s the birthplace of Starbucks Coffee. Downtown Seattle is a mecca for the state’s best food, shopping and activities. Whether you are a first time visitor or returning, there are endless opportunities of places to see. There’s nothing quite like the summer months in Seattle. You’ll even have a chance to visit the famous Pikes Place Market and maybe have the opportunity to catch a fish. 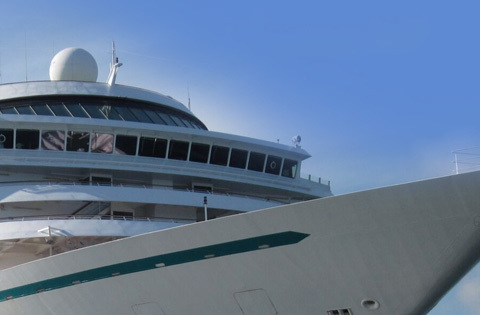 Some of our tours leave Seattle on a cruise to Alaska aboard the Celebrity Solstice. Ketchikan will be the first stop on the way to more Northern climates. Ketchikan itself can be rewarding, as the city is the gateway to Misty Fjords National Monument. It’s an area so beautiful, it’s known as “the Yosemite of volcanic activity.” Misty Fjords offers gorgeous views of natural formations, all reflected in the calm waters of Pacific inlets. Feeling adventurous? If so, make a stop at Zipline Adventure Park. More than just a straightforward harness-and-zipline experience, this aerial ropes course will challenge you. Climb a 50-foot tower. Cross narrow log bridges. Then whiz above Ketchikan’s shores and forests on seven different lines. Another port that can be visited while on our cruises is Juneau, Alaska’s capital city. Juneau is a thriving city offering a great blend of amenities and small-town hospitality. It’s all in the heart of Alaska’s majestic mountains, rivers, glaciers and forests. Nearly 31,000 people call Juneau home. Many of them work in a wide range of professions: government, tourism, mining and fishing. But all of them share a deep love for this place. Such a mix of diverse professions makes Juneau’s people unique. Other port stops included Victoria, British Columbia. You can find the capital of British Columbia on Canada’s largest island, Vancouver Island. This seaside enclave and one time British colony has retained much of its colonial splendor. And thanks to a temperate climate, Victoria blooms with color during the spring and summer months. Victoria has something for everyone. There’s so much to do and see, it’s just a matter of choosing. From places like The Butchart Gardens to Canada’s oldest Chinatown, your day in Victoria can be as busy as you choose it to be. Join us on this breathtaking tour of the upper west coast and you will be sure to have a great time. For more information on Pacific Northwest cruises by Panda Travel ®, contact us at packages@panda-group.com .